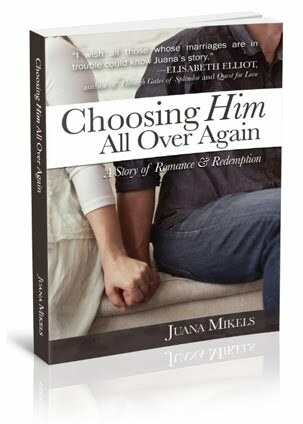 JuanaMikels.com: Looking for Bloggers for #ChoosingHim Book Launch Team! 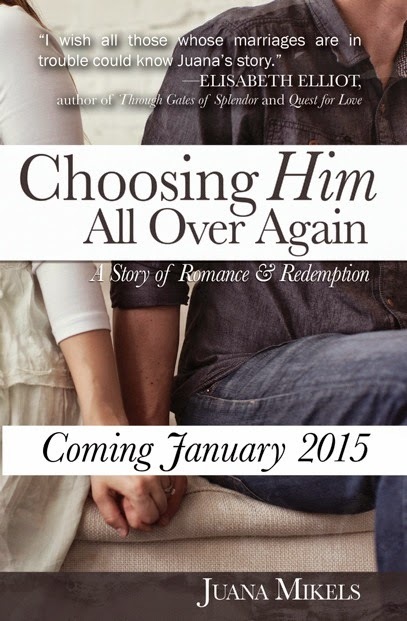 Looking for Bloggers for #ChoosingHim Book Launch Team! 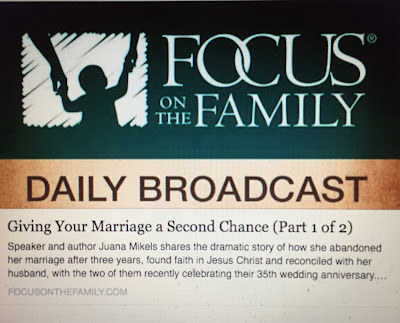 Calling for Christian bloggers on faith and marriage! 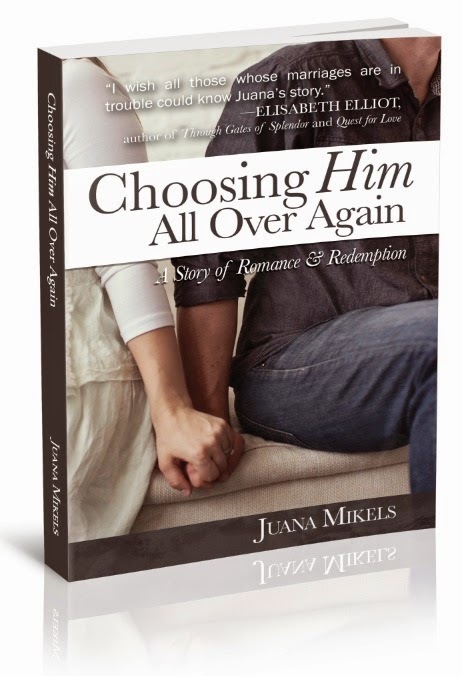 I'd LOVE for you to be part of my blogger launch team for my book Choosing Him All Over Again: A Story of Romance and Redemption!☺ Join our team of sixty Christian bloggers and counting! Do as little or as much as you want. NO BLOG IS too small. Christ came to redeem individuals! One blog post in January during launch would be great. ☺ We provide high quality graphics and text for your blog or your social media. We'll send you the PDF and you can begin reading. Just email us "I'd like to be on Juana's blogger launch team!" to juana(at)juanamikels(dot)com or my assistant, Amy, talbott.1corin13(at)gmail(dot)com. I was thrilled that Elisabeth Elliot wrote the foreword. It was her idea that I write the book (even coming up with the title!) after I appeared as a guest on her radio program over ten years ago! 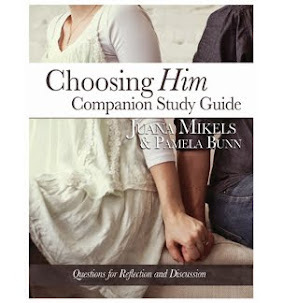 If you enjoy blogging on faith and marriage, you can even download the FREE Choosing Him Companion Study Guide by Juana Mikels and Pamela Bunn and lead an online 15 chapter study next year! The sky is the limit! We'll send the book, you can start reading! Leaving husband, house, and friends behind, Juana begins her search for peace and happiness in earnest. Mistakenly, she thinks all she needs is "Mr. Right," but instead, Juana finds Jesus and the peace she has always longed for. As she grows in her faith and her desire to please God, God rekindles in her heart a longing to be reconciled to her husband. However, the tables are now turned her husband doesn t want Juana back. 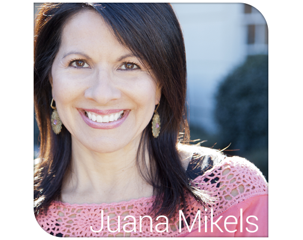 Juana learns how to let go and trust God, to let Him go to work and do what seems like the impossible . . . but will her marriage be restored? or can be ordered from a bookstore near you. My daughter Mary is singing an inspirational song at two gala events, and she woke up today with a cold! The first one is tomorrow night, and the other one is Friday. Please pray that she will improve and sing her best and shine for Christ. Mary is blind. What can I pray for you or your loved ones? Father God, You have gifted Mary with a beautiful voice and we ask that You heal this cold so that she can shine for You tomorrow! In the precious Name of Your Son, Jesus. Amen. 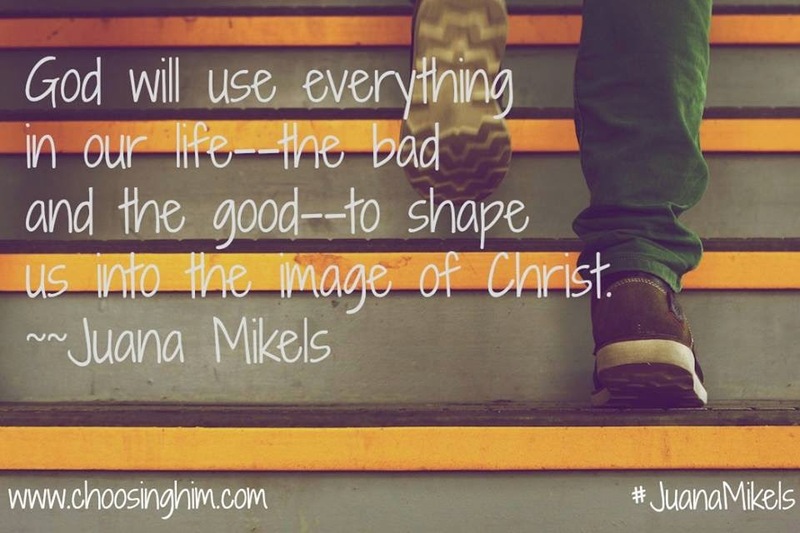 Praises! Praises! Our son told us last night that they are planning on starting a weekly date night and letting us keep Libby! We are ALL SO excited! Keep praying that God will open his eyes, it's working! Little Libby is doing very well, rolling over just like a 4mo should do. No delays so far! God is able! Stuart just left for his Dr's appt for his depression and our 3rd son, Cameron, will be having his 18th birthday on Friday. Prayers for me on whether or not I need to find a PT job to help bridge the gap until husband goes back on commission. If it is God's will then have it find me. I also will need something very flexible so I can still be available to those who count on me. For God to do an Ephesians 3:20 for my husband's business so that he can go back on commission. He thinks it will be another year or so, but God is ABLE to do immeasurable more than we can think or even imagine! Somehow I missed your wonderful praise here Jana in all the illness that went around our house but rejoicing with you on keeping Libby!! and lifting up your entire family to Jesus! Love You! So excited for your book!!! Thanks for offering the link up. Praying for you today!